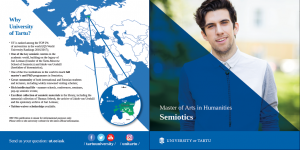 Home / Research Projects / 2018 application round for University of Tartu International Master Studies in Semiotics open! We are excited to welcome new students to our 2-year international Master’s programme in Semiotics. The courses are taught in English. 10 best applicants will be awarded with tuition-waiver scholarships. The application period runs from January 2 until March 15 2018. 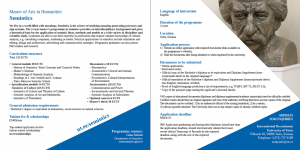 Curriculum coordinator Ms. Liina Sieberk welcomes all your questions and inquiries via tartusemiotics@ut.ee. The 2-year Master’s programme in Semiotics provides interdisciplinary background and gives a theoretical base for application of semiotic ideas to a wide variety of disciplines and scientific study. The programme binds together the theory of semiotics and three core modules – cultural semiotics, biosemiotics and sociosemiotics. The programme also combines the major semiotic traditions of Ferdinand de Saussure and Charles S. Peirce with the leading contemporary and innovative thought. Semiotics is the general study of sign processes, or semiosis. Semiosis makes the world meaningful. Today’s world, where processes have a disbalance of global and local dimension, challenges us to understand the need of individuals and societies for defining their identity. Semiotics is centrally relevant to achieve this understanding. 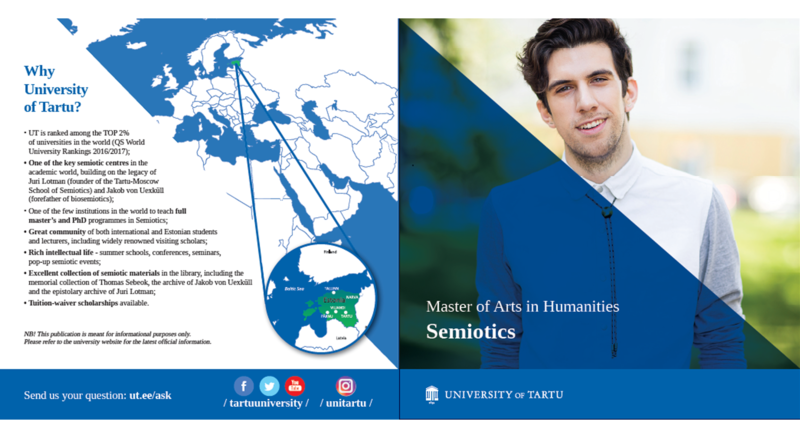 The Department of Semiotics at the University of Tartu is one of the most important centres of semiotics in Europe, with deep roots for cultural semiotics and biosemiotics. Names and work of Jakob von Uexküll and Juri Lotman, founder of world-renowned Tartu-Moscow Semiotics School, form the cornerstone of the Department of Semiotics at the University of Tartu. The Department of Semiotics also holds the memorial library of Thomas A. Sebeok, which was received as a donation.